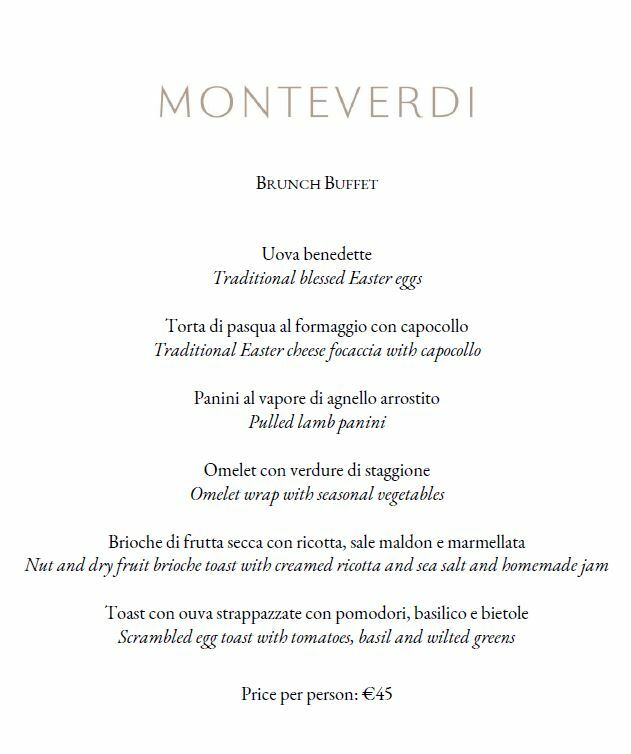 Celebrate Easter at Monteverdi, against the backdrop of the blooming Tuscan landscape. Our idyllic village is the perfect place to spend a Spring weekend. Indulge in a spa treatment incorporating local herbs and oils. Take a bouquet making class, using wild flora freshly plucked from the forest. Spend Easter morning with a mimosa in hand enjoying the stunning views of the Val d’Orcia. There are few places more peaceful and restorative than our colorful hilltop hamlet. Please select the “Book Now” button or contact our reservations team at travel@monteverdituscany.com or by calling +1-866-644-0787 to book your stay. If you are not staying with us but would like to join our Easter Brunch or Dinner, please use the button below to contact our concierge. Aperitivo in the piazza at 6:00 p.m.
Musical introduction by Italian pianist Carlo Guaitoli at 6:30 p.m. Screening of the film PADRE, directed by Giada Colagrande, and starring Giada Colagrande, Willem Dafoe, Franco Battiato, and Marina Abramovic. Question and answer with Director Giada Colagrande after the screening. Easter Brunch – until 1:00 p.m.
Easter egg hunt around the village. Guided nature walk & wild bouquet making class. Aperitivo and music in the Monteverdi Lounge at 6:30 p.m.
Easter dinner with traditional Italian Easter dishes at 7:30 p.m.
Yoga class in the Monteverdi Yoga Studio at 9:00 a.m.
Price: Brunch is included with hotel/villa stays. Dinner: €70/€90 with wine pairing.